Delhi University conducted its Joint Admission Test 2017 wherein many candidates appeared for the examination of JAT 2017. And finally, the wait is over as Delhi University has released the Results of Joint Admission Test 2017. Roll Number wise list of Ranks secured by applicants for admission to BMS/BA(H) Business Economics/BBA(FIA), 2017 Display of Rank does not guarantee admission to the courses. Seats will be allotted in order of rank considering the preference stated by the applicants and subject to availability at the colleges. Login on the portal http://admission.du.ac.in/ugent2017 to check for college and course allotment and admission schedule. To Download latest BBA 2017 JAT result one needs to simply head over to the link which is given in the article at the end of post. One can head over to DU Jat Cut Off 2017 once you are seeing yourself in the merit list of DU JAT BBA results! DU JAT Result 2017 –Delhi University (DU) has been declared the DU JAT 2017 result on July 18. The conducting body has announced the DU JAT 2017 result in the form of ranks and names of candidates shortlisted for further selection procedure. As the list is out one can now download your JAT 2017 result from here. On the basis of the result of DU JAT 2017, the students will be shortlisted for BMS, B.A (Hons.) Business Economics and BBA (FIA) courses.The selected candidates will be required to attend the counselling rounds with all the necessary documents. 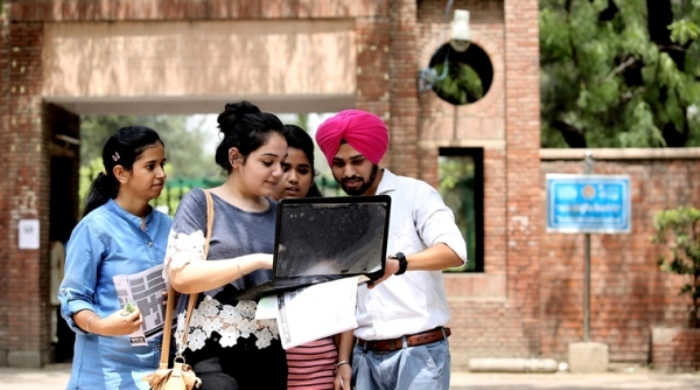 The university will first declare DU JAT Merit list which will include the names of the candidates shortlisted for Group Discussion (GD) and Personal Interview (PI). DU JAT Entrance Result Every year the University of Delhi conducts its Common Admission Test for admission in various management courses such as BA (H), BBA (FIA), BMS etc. The final admissions will be for around 1162 seats across 15 participating institutes of DU JAT. DU JAT 2017 Important Dates Availability of Online Applications DU JAT Result 2017 DU has announced the DU JAT 2017 results in the form of ranks and names of the candidates who are shortlisted for further selection process. One can subscribe to the website via push notifications to get the latest information regarding counselling for JAT based DU Admissions 2017. DU JAT Results 2017, Delhi University JAT Result, DU JAT Score Card 2017, DU JAT 2017 Results, DU JAT Rank Card, the DU JAT Score Card, Rank List and Cut off Marks etc mention below. DU JAT 2017 Results Candidates will be shortlisted for admission according to declare categories wise cut off list. Students appeared for admission in Delhi University under B.Tech for IT and MI can also download their results of DU JAT 2017 from the link that can be found below. One needs to login to DU Portal and get the further help regarding admissions in B.Tech at DU. One can simply download 2017 results of Delhi University Joint Admission Test held for B.El.Ed. from the link described below. Make sure you follow up the procedure and check the merit list for the admission to DU College in B.El.Ed Course. Make sure that you subscribe to website via push notifications in order to stay updated for further orders! If you have any query please feel free to comment down below!